With the passing of the first couple of months of the new year, many people are working on turning their new year’s resolutions into long-term habits. And, if you picked the top new year’s resolution for 2017 like 21.4% of the population did, then your eating habits have more than likely turned a lot more healthy. You probably spent the month of January focusing heavily on your health — cutting back on sugars, exercising more, shrinking your portion sizes, and more. 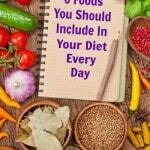 Now, you’re ready to transform your resolution into a new lifestyle of healthy eating habits. All of the things mentioned above (lowering sugar intake, working out, downsizing portions, etc.) 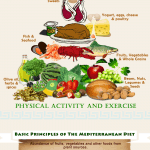 play a big role in maintaining your health. But did you know that the environment in which you’re eating also plays a big role in your health, as well as your overall dining experience? If you’re feeling a bit skeptical about this, read on to find out why your eating environment is vital to the enjoyment, and health of your meal. Does the food taste good? Is it healthy? Is the restaurant easy for me to get to? Is it loud or quiet inside? Is the restaurant dark or bright? 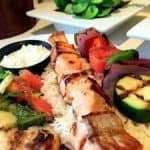 These are some of the things you’re probably considering when choosing a Dulles Town Center restaurant to dine in. But do you realize the importance people place on eating environment? 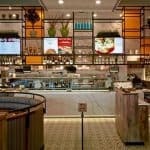 According to a Cornell University School of Hotel Administration study, it was found that food and decor are more important to restaurant patrons than service! Cafesano is definitely tuned in to the importance of dining environment, and took that knowledge to create an atmosphere at its Dulles Town Center Mediterranean restaurant that was certain to welcome and attract their potential guests. Let’s get into the details of Cafesano’s dining environment and how that benefits their guests’ overall experience. The lighting at Cafesano during the day is bright and welcoming, which helps people feel happy about eating there. The focus is on natural and focused light, not intense overhead fluorescents that leave your head buzzing. At night, the lights are turned down and supplemented with candles at every table, creating a warm and cozy environment. At the same time, Cafesano makes sure it’s not too dark inside the restaurant at night. When the lighting is too dark, restaurant goers tend to not eat as much food, and leave feeling unfulfilled. But, when the lighting is unnatural and too bright (think a fast-food restaurant), then people tend to eat too much, and leave feeling as if they’ve overdone it. Cafesano knows how to balance natural and bright lighting during the daytime hours with subdued and more intimate lighting at night, which provides their guests with two very different dining experiences. Before people visiting a Dulles Town Center restaurant even taste the food, they judge the dining spot based on its decor. All these touches come together to create a warm and inviting environment. Add a large, easy-to-read menu board, an express take-out counter, and digital displays that scroll photos of freshly prepared food and provide information to guests about catering services, take-out, gift cards, wines and beer and more – and you also have a dining environment that shouts convenience. Cafesano knows how to create a dining environment that welcomes those who want to linger, while at the same time facilitates those who are in a hurry and need to eat and run. In order for diners to feel relaxed when eating, they need to have ample space. The more packed in a diner feels, the more rushed they will feel. We all know that eating slowly is crucial to maintaining health. The faster you eat, the more you’re likely to eat. When you eat too fast, you don’t give your body a chance to recognize that it is full before filling it with more. Thankfully, you won’t have this problem at Cafesano. Diners can choose from comfortable table or booth seating big enough to hold parties of 12 or small enough for two to four diners. The tables and booths are generously spaced so you’re not on top of your fellow diners even when the restaurant is packed during a busy lunch or dinner hour. Likewise, bar stools at the bar are spread apart, allowing guests some privacy. For guests who are in more of a hurry, counter seating is available with plug-ins for laptops and phones. And there’s also a comfortable dedicated seating area for guests who are waiting for take-out orders. Cafesano has the bases covered with a variety of seating to meet everyone’s needs with the ultimate goal of insuring everyone has the dining experience they want and need at any particular time. Fast-food restaurants are known for their fast service. But do you ever feel calm and relaxed when eating fast food? Most people eat fast food because they’re on the go. The food is ordered quickly, made quickly, and eaten quickly so the diner can go on their busy day without any fuss. However, taking the time to enjoy your meal is great for your physical and mental health. But, there is a fine line between slowing things down to enjoy your meal, and slowing things down to a crawl. The staff at Cafesano has mastered “fast casual dining” — the sweet spot of timing that ensures your meal is delivered at a pace that allows you to relax before you truly savor and enjoy your food, but not spend half of your day waiting for your meal. There’s something invigorating and refreshing about eating outside on a nice day. The sun beaming on your face instantly elevates your mood, and makes your meal taste even better. It’s tough to find outdoor seating in Northern Virginia restaurants but Cafesano has a beautiful outdoor patio at Dulles Town Center that boasts both lounge seating and table seating. Two outside fire pits add warmth on brisk spring and fall evenings and fun lighting adds a festive feel. Attractive potted plants and landscaping around the patio make you forget about the hustle bustle of traffic. And a walk-up window to the bar from the patio makes ordering a quick round of drinks a breeze! Add fresh air and comfortable and relaxing seating to flavorful and healthy menu options and you’ve got a recipe for a memorable dining experience. How comfortable overall a restaurant feels to a patron is of utmost importance. If someone feels uncomfortable while dining, chances are good they’ll never come back. Fact is, a comfortable and enjoyable dining environment is just as likely to bring someone back as good food. Ensuring that everyone has a great overall dining experience is a priority for Cafesano. Whether you’re dining in, or grabbing take-out, the experience is guaranteed to be comfortable, easy and convenient with the added bonus of enjoying a great meal! 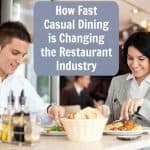 There are a number of factors that go into choosing a restaurant where you’ll spend your money, your time, and eat your meal. Cafesano recognizes that, and never stops working to create a dining environment that makes you feel welcomed, happy, and comfortable. The more stress-free and enjoyable your meal is, the healthier and happier you’ll be, and the more you’ll stay on track with your long-term health goals. 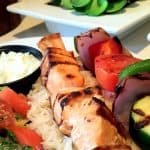 Next time you find yourself looking for a fabulous restaurant in Dulles Town Center, look no further than Cafesano for outstanding Mediterranean and Italian food coupled with an environment and experience guaranteed to bring you back.